"Another zombie series" I hear you groan. Well yes and no, DEAD WORLD is a promo episode for a proposed Norwegian zombie series that at this time hasn't been made. This is more of a short promo reel of what the story would be and the special effects that would be used. It is shown in a linear pattern so what you see is what we may get one day as a 4 part series. Whether that will be a online streaming series we will have to wait and see. It is beautifully shot in 2K and was made with a budget of $600. Which if you ever get the chance to see this promo you will be amazed that it only cost that much as the special effects and acting is superb. The project took seven years to complete but this was only down to the usual factor of getting cast and crew in the same place at the same time, and the usual problems you can expect on a low budget project such as this. Though the cast and crew did this project for free as a labour of love, you can tell they had fun doing it and put their heart and soul into the project. I for one would love to see this project be made into a series as the promo shows that you don't need mega money to get a story, acting and special effects on THE WALKING DEAD level. 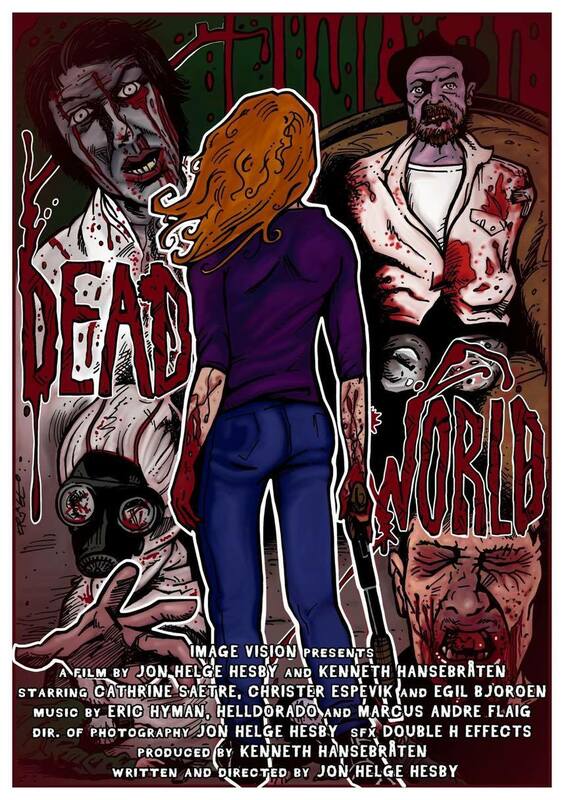 An 8 page reproduction booklet with a DEAD WORLD comic that is featured in the film. This will be signed by all major key cast and crew. 2 music videos featuring the cast and crew of DEAD WORLD. Full HD with Norwegian audio and English subtitles. 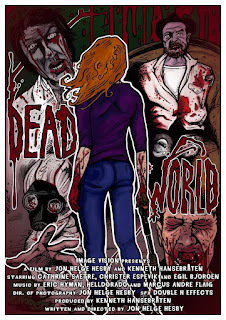 Poster art for the film was done by Martin Trafford (NEKROMANTIK - The Comic Book Sequel). Be sure to give the Underground Gorellectors Films Facebook page a LIKE that way you will know when this zombie promo will be available to buy.